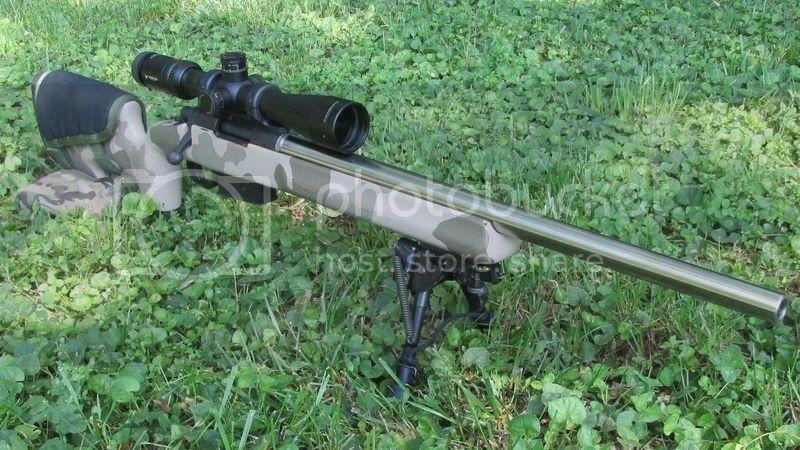 450Bushmaster.net • View topic - My new R700 barrel. 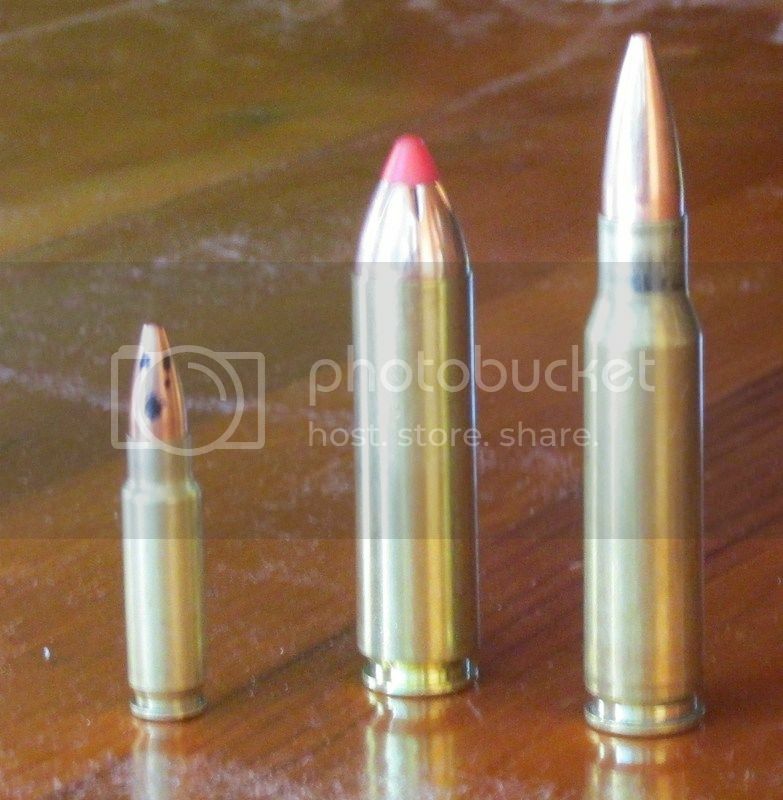 450 bushmaster standing by a 308 while a 5.7mm cry's our in terror. I screwed it all together last week and these are its first shots at 100. 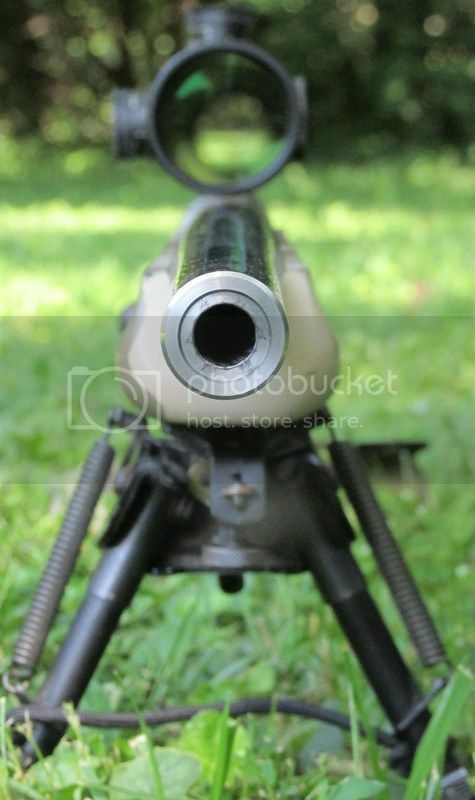 4 shots at 3 o'clock are the very first shots fired, I had a magnetospeed attached. 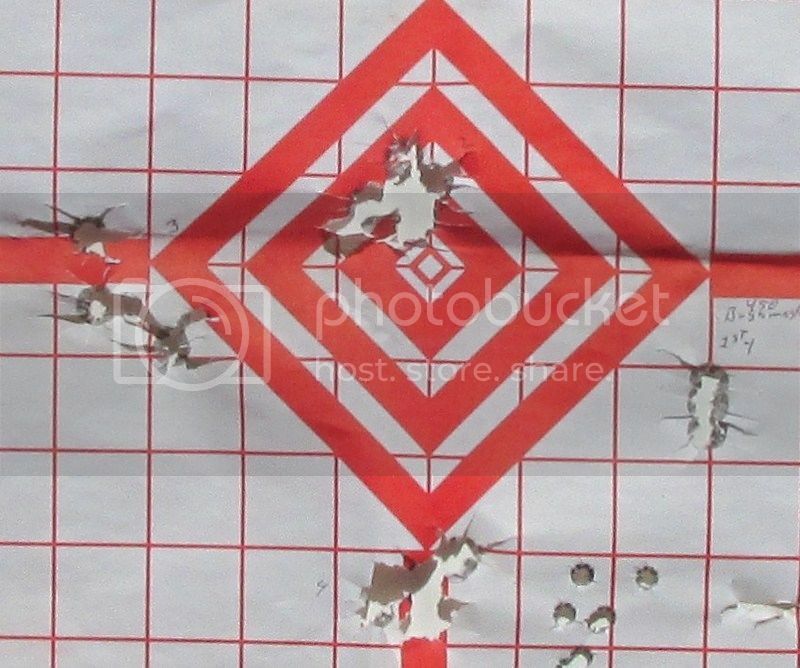 At 12 O'clock is a second 4 shot group also with the magnetospeed. 9 O'clock is 4 shots without the magnetospeed and the final 4 at 6 O'clock. This is all with Factory Hornady ammo using the Flex tip 250 grain bullet. Velocity published on the box is 2200 fps. So I am pushing these about 135fps faster than the published velocity. Re: My new R700 barrel. Open day at ~11am (Nov 15 2015) this guy came by. I was tempted to let him pass and hold out for something bigger and more mature. But from 30 yards I could see a patch missing from his neck and exposed muscle. Figured I'd save him pain and possibly death by infection. One shot from the bushmaster double lunged him and after a little sprint he was spent. Notice the hole it left on the exit above, about a 1" exit. Also note the neck wound below... looks like a puncture rather than a gun shot wound like I first thought, as I don't see torn muscle like a gunshot would normally inflect. 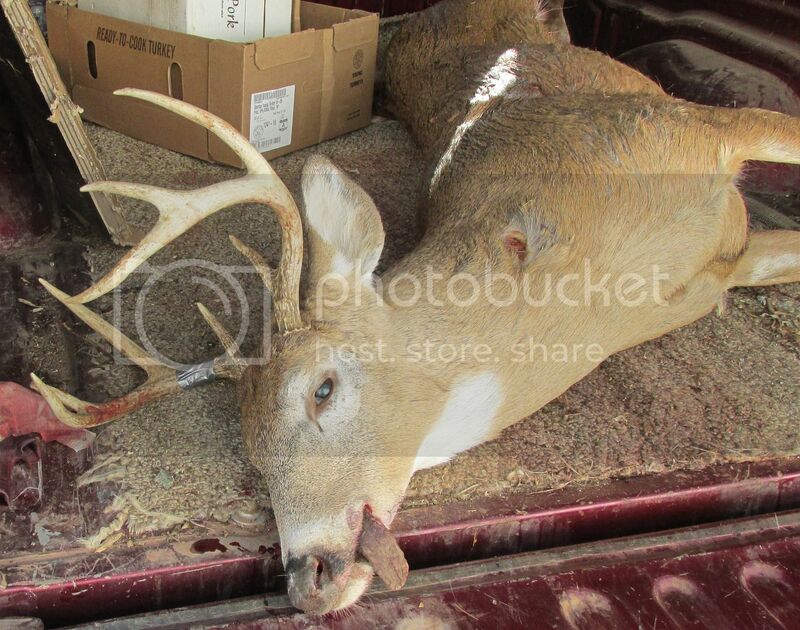 nice rifle and nice kill!! Very nice rig!! Buck-o there probably got in a fight with another one. 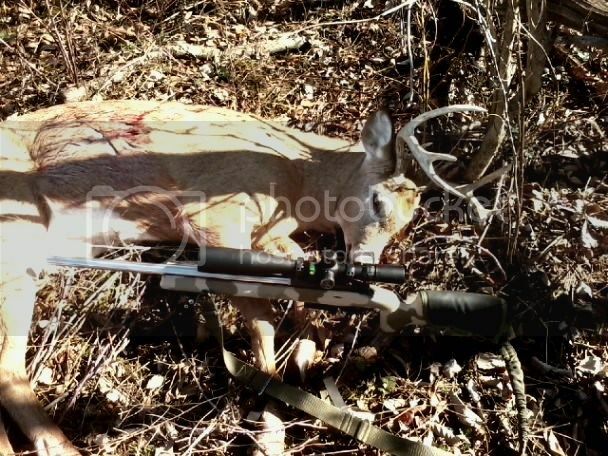 Nice rifle and deer! Lee your post updated! Have you done any reloading yet?